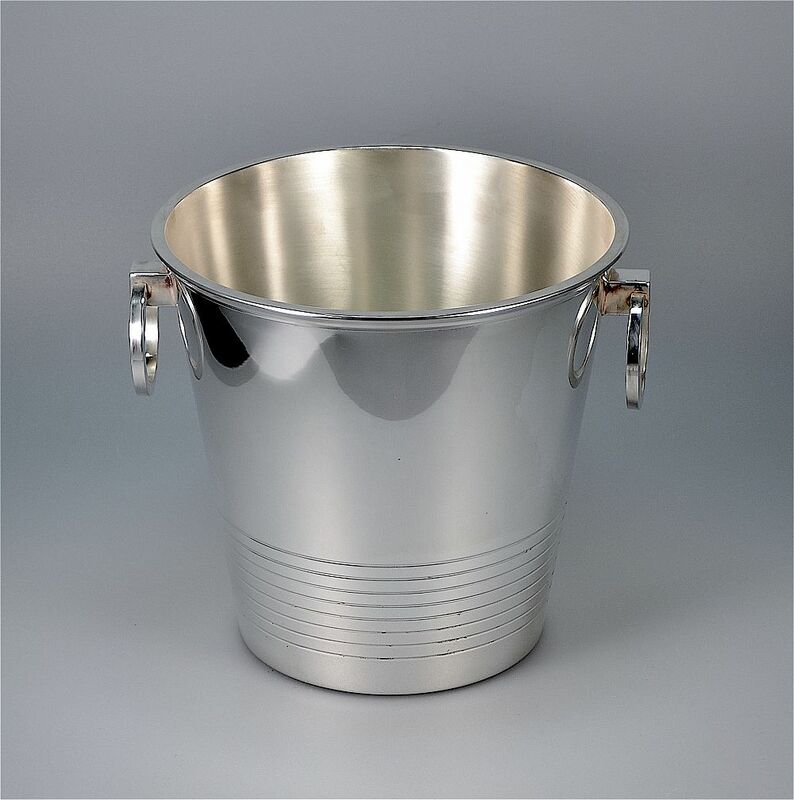 This very elegant ice bucket was made during the Art Deco period and is French. The bottom third of the slightly flared bucket has 8 incised rings. It has circular drop handles attached to rectangular blocks. The base is stamped with a shield within a square cartouche, the numbers "15" in a square cartouche and what appears to be "8l Mederd" in a rectangular cartouche.